Confidence vs. Competitiveness! Woohhhh, Inhale/Exhale. As women this TOPIC is too REAL! We often compare ourselves to others that may appear to be more successful; while social media is the #1 tool to create a brand that may reflect who you portray yourself to be, but not who you really are. Or perhaps, only the most remarkable things about a person are shared as a method to attract what is desired. In all actuality, we ALL have struggles, insecurities and GREATNESS that lives within us all. 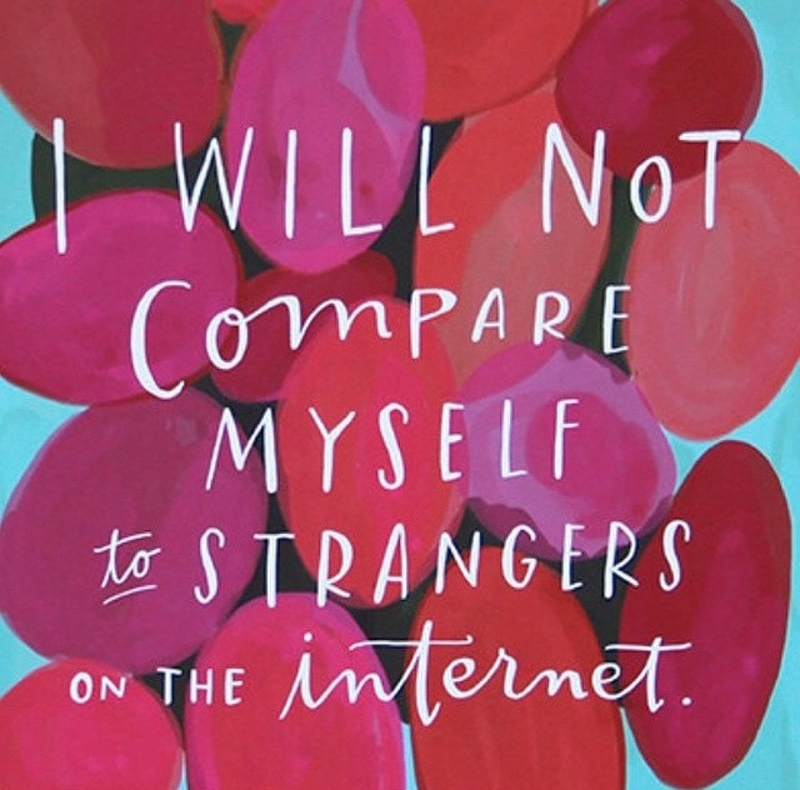 Repeat this Mantra: I will not compare myself to strangers on the internet. I’m going to be brutally honest; recently, I struggled with this. 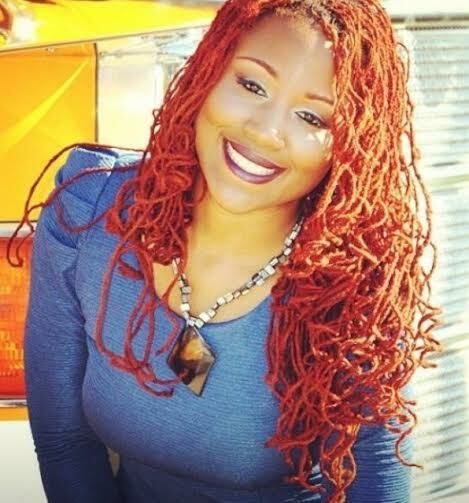 I would see women dominating their fields and hustling so hard on their grind and it caused me to second guess my style of marketing and my ability to sustain an entrepreneurial livelihood. I felt less than deserving or guilty for taking a day or two off to visit a lake, watch Netflix or parlay with my children. I started to compare myself to them and felt a rush of disappointment take its toll on me. I felt unnoticed if I wasn’t invited to speak on their stage or looked upon as a colleague. In one breath, I was happy for them and admired their success but in another breath, I resented them. It felt like they had something I didn’t have and as a result, I’ll never reach a certain level of success. This thinking haunted me for months and delayed a few of my launches. I was so busy watching them from the side-lines and feeling small that I did nothing. Then one day, it dawned on me that there is only one me and only I can do what I am called to do. I realized there was enough to go around. Just as I compared myself to other women, other women were comparing themselves to me. One woman inboxed me of facebook and said “I know your life is perfect…etcetera, etcetera. I was taken by surprise and actually responded “You have no idea. Yes, I am a Certified Dream Coach, however, I’m also a Woman and Mother on a journey of uncertainty pursuing my dreams, while helping others do the same, etc..) I realize that as authentic as I strive to be, I cannot control the perception others may have. The cure to this madness was Clarity. I went inward to connect to who I am and what I really wanted. I realized that my business model must include moments of peace, relaxation and downtime. 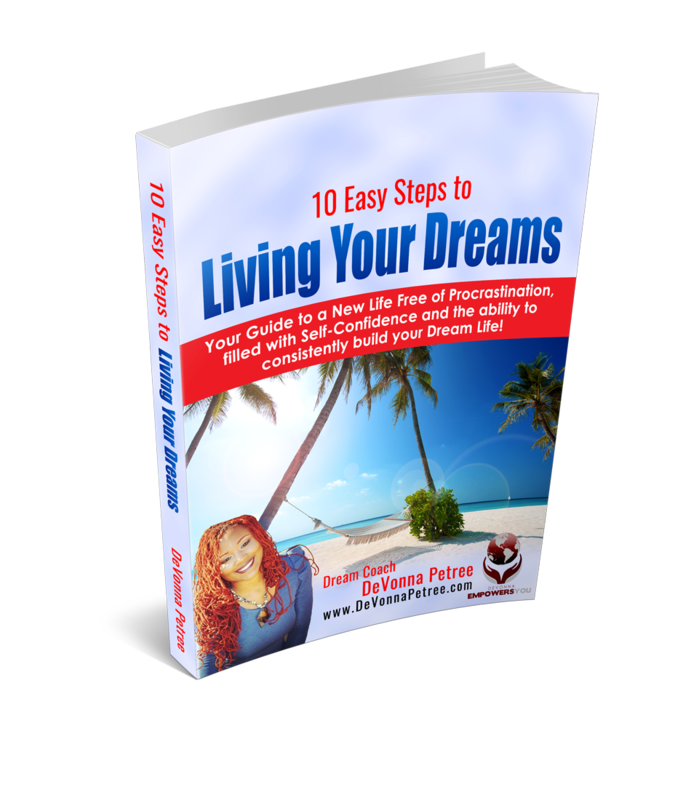 I want to enjoy life in the process of building and running a business. Regardless of how I market my services, it must be an authentic representation of me. I want you to know that: YOU are GREATNESS. Do not let anybody tell or make you feel any different even if that person is YOU. The truth of the matter is that we all have a story, purpose and journey that is individually and uniquely designed. 2 powerful women said it best!! Remember, what is for you is already yours, if you are boldly tenacious enough to Go Get It. It’s ok to look to others for inspiration, support and guidance. Ultimately, you are your image of success. Just continue to put the work in and believe. Let’s support and be happy for one another knowing and believing that we all have what it takes to live out our Dreams. Compare where you are in the story of your life to where she is. Have a motive to connect with her, only for your personal or professional gain. Become discouraged and say this can’t be you. Whatever comes up for you….it’s ok Accept it. Set the intention to give what you want to receive. Say “Go ahead sis, do your thing” and authentically wish her well. If your core values are aligned and you see a great partnership, friendship, etc. Connect, collaborate and build together. See yourself for your own value and uniqueness by getting so Crystal Clear about What You Want and Who YOU Are that there is absolutely no reason to compare who you are to ANYONE. Keep Believing. Keep Striving. Know your own worth. Spread Love. And by no means settle or do things that are against your core values…but know that what you admire in others another may admire in you. If you are eager to fully embrace your own greatness. I strongly encourage you to sign-up for your Free Clarity Session. If you can t get on your own side, you never get past go. This may help you stop comparing yourself to others .